Can an image capture an experience? Every so often one is fortunate to have a truly unique, new and revelatory experience of architecture and space. Southern Cross Station in Melbourne by Grimshaw’s offers such an experience. But I have not seen an image it would seemwhich adequately conveys the experience. It is interesting for architecture, landscape and urban design . Because the boundaries between built space, enclosed space and open space, inside and out are not clear, the inside bleeds into the outside and vice versa. So thankyou to Grimshaw. 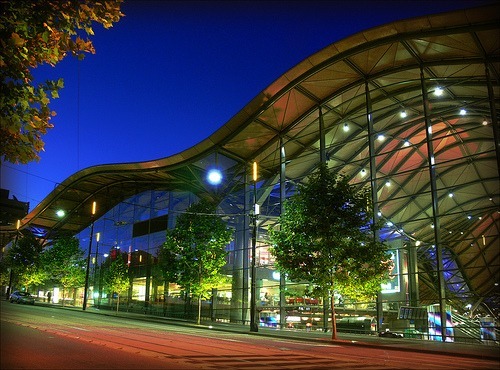 Southern Cross Station is a delight to experience! This entry was posted in Uncategorized on 25th November 2008 by Christine. Christian Tschumi has written a very useful book on Mirei Shigemori – Rebel in the Garden – Modern Landscape Architecture (Birkhauser 2007) though it puzzles me why he does not see it as a book on garden design. Mirei Shigemori (1896–1975) wanted Japanese gardens to be modern but he did not want them to be western, despite the fact that in admiration of the west he had named his children after Immanuel Kant, Victor Hugo, Johann Goethe, Herman Cohen, and Lord Byron – an astonishing group. I have often admired photographs of the Moss garden at Tofuku-ji (1939), as illustrated in the Wiki article on his work. But the designs illustrated by most of the photographs in Tschumi’s book do not reach this standard and another photograph of the same garden (image, right, courtesy I-Ta Tsai) makes this point: the design is too experimental; the scale is not well judged; the geometry is unsophisticated. 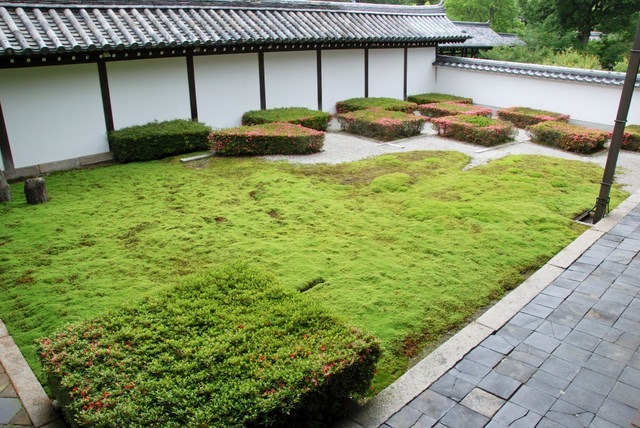 Shigemori identified three possible approaches to Japanese garden design (1) pursuit of the classical style (2) using the best of classical and modern ideas (3) creating something completely new (modernism). These policies are discussed elsewhere on this website as Similarity, Identity and Difference (SID). I support them all! his introduction of concrete to Japan was a complete mistake – the material is inherently at odds with the wabi-sabi aesthetic and ill-suited to the interpretation of nature on which the Japanese garden depends. This entry was posted in Book reviews, context-sensitive design, Garden Design on 18th November 2008 by Tom Turner. “The bronze of Peter Pan in Kensington Gardens is one of the most popular statues in London. He stands in a leafy glade about half way along the west bank of the Long Water. 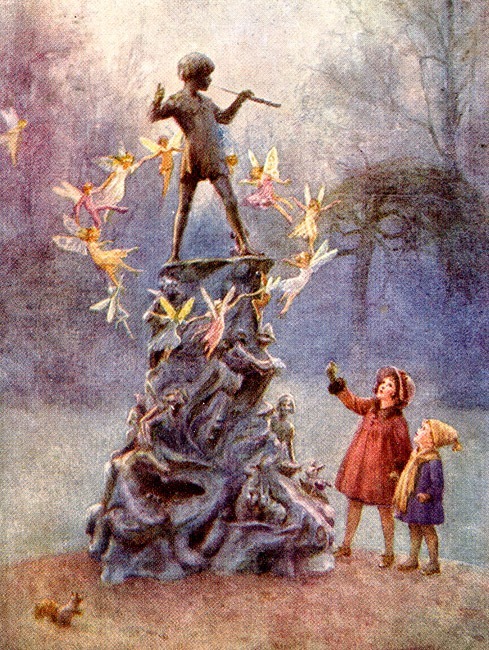 This site has a special importance for Peter Pan and was chosen for the statue by J M Barrie, the author who created him.” The statue is by Sir George Frampton, R.A., P.R.B.S. (1860-1928) and the painting is by Margaret W.Tarrant (1888—1959). She was the only child of Percy Tarrant, a landscape painter. All three artists understood the site and the audience. The unwelcome legacy of Abstract Art is its abstraction from clients, places and the public. This entry was posted in context-sensitive design, public art on 16th November 2008 by Tom Turner. There is considerable ambiguity around the idea of just what sculpture really is. There is not a clear distinction between Physical sculpture (http://www.dexigner.com/design_news/4241.html) embedded with debates about function and form/simple and complex relationships and Sound sculpture (http://www.rainerlinz.net/NMA/repr/Brassil.html) which is based on the ephemeral partitioning of otherwise boundless space (and time) sometimes made visible through its partnership with water in Water sculpture. 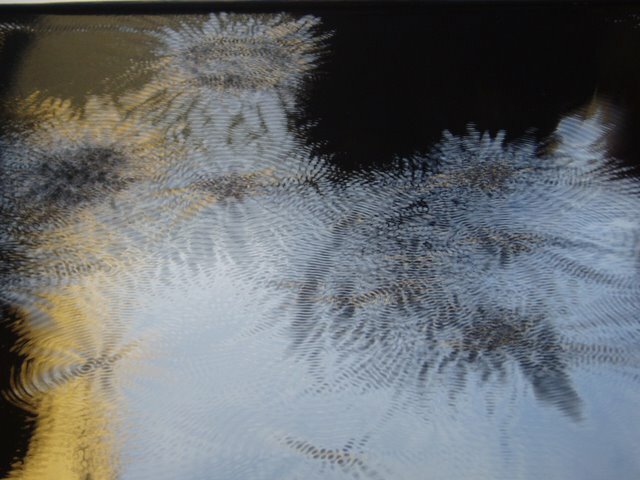 What a wondrous medium artists have been given to explore and audiences to delight in….is interpretation really essential, when what can be revealed in so much richer than a few words can begin to express? This entry was posted in context-sensitive design, garden history, Landscape Architecture, public art, Sustainable design and tagged architecture, art, context-sensitive design, landscape, Sculpture on 16th November 2008 by Christine. I came across this attractive photo and wise caption on Flickr. The Archaeological Survey of India (AIS) was set up by the British in 1871 and it looks as though their gardening staff still do apprenticeships in Britain’s parks departments. Great Indian works of art are treated with lawns, rose beds (Hybrid Teas preferred) and Bougainvillea – a native of South America. 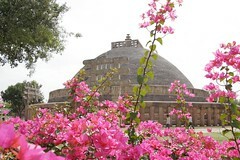 One could argue that Sanchi, as the best-oldest Buddhist site has had a massive influence on garden design, and therefore deserves this treatment. But I would rather use the photo to argue that there is an enormous need for garden designers and landscape architects to become involved with appropriate design for archaeological sites. It is far too serious a matter to be left to the whims of archaeologists, garden managers or tourism ‘experts’. This entry was posted in context-sensitive design, Garden Design, Historic garden restoration on 16th November 2008 by Tom Turner. my first post for gardenvisit, so i thought i’d pose a question thats been on my mind for a while. also it ties in neatly with Toms post below. Is there too much public art in the landscape? reports say that there has been a massive boom in public art commisions in the UK over recent years, and I’ve applied for a few of them myself! so I’m playing devils advocate here, or being a hypocrite, whatever way you want to look at it. all the same, it seems you can’t go anywhere now without there being some sanctioned artwork there to explain the place to you – telling you what you should be thinking and explaining how you should be feeling. isnt there room any more for ambiguity, or an individual respone. can’t a place just be a place? 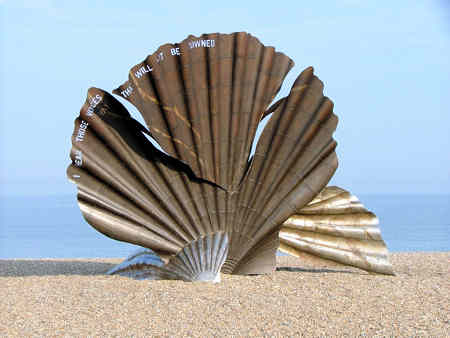 the adlesburgh scallop (pictured) makes a good case study. a source of recent controversy, its detractors say there is nothing wrong with the artwork itself, but its location was beautiful..more beautiful without it. it is an unnecessary detraction. the artist says that they dont understand the work – that it was created especially for that location. the insinuation is that as an artist, her response is more valid than everyone elses. more valid than the place itself which should serve as a setting for her work. This entry was posted in Garden Design on 15th November 2008 by Stefan. 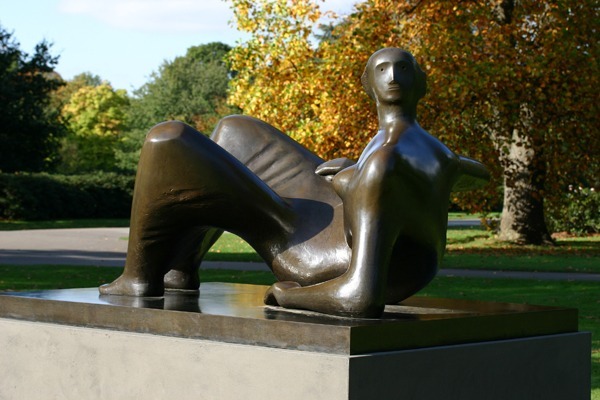 Henry Moore's sculpture in landscape and garden. Henry Moore said that “I would rather have a piece of sculpture put in a landscape, almost any landscape, than in or on the most beautiful building I know.” He made a good point and when traveling by train I often think of his remark that one should not waste one’s time reading – because it is such a wonderful opportunity to look out of the window and think and think. Railway lines make a cleaner cut than roads, producing a cross-section through the land. This entry was posted in Garden Design, public art on 14th November 2008 by Tom Turner. Multi-objective design being more characteristic of traditional societies than modern ‘scientific’ societies, India has the best record in the design of structures related to water conservation. This step well, in Abhaneri, is a temple and a place of resort in hot weather – as well as a water tank and a place to wash. Such structures are found throughout the Indian subcontinent, though many were put out of use by British engineers who saw them as breeding grounds for the malarial mosquito. 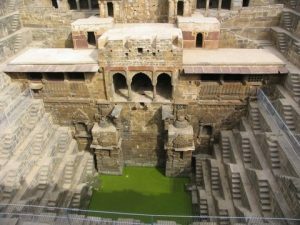 They are known as baolis or hauz, and many other names, in India and are often called stepwells in English because of the steps which give access to the water at whatever level. The design of step wells and ghats (steps to water) was fully integrated with other aspects of town design. Today, most of them are neglected and rubbish-filled. It is a pity – and too late to blame the imperialists. I have been reading Amita Sinha’s book on Landscapes in India: forms and meanings (2006). An associate professor of landscape architecture at the University of Illinois, Urbana Champaign, she writes that ‘Rivers, mountains, seashores, and forest groves nurture the rich mythology of gods and goddesses. The association of pilgrimage centers with water can be clearly seen in the number of sacred spots that lie on riverbanks, at concluences, or on the coast. The devotees bathing in rivers on particularly auspicious days gather spiritual merit (punya) and are absolved of their sins. Along with mountains, water is one of the most important natural elements in Hindu mythology, and most sacres sites contain one or both of these elements. Many temples are along riverbanks; others have water in the form of lakes, ponds, or built tanks. Tanks are essential at any worship complex’. London has many, welcome, migrants from the Indian subcontinent and I wish their traditions were employed in the planning and design of the River Thames landscape. See review of London’s riverside landscape and riverside walks. This entry was posted in Book reviews, context-sensitive design, Sustainable design on 9th November 2008 by Tom Turner. Christine wonders if I am anti-architect and I thought, after a little introspection, that a public reply would be worthwhile. I would like this blog to be an interface between architecture, landscape architecture, garden design and planning – and regret it if I come over as more anti-architect than anti- the other environmental professions. I have worked with architects all my professional life, though more as a teacher than a designer, and have often found them to be more creative and more technical than many other built environment professionals. But I regard the twentieth century as a bad period in the history of urban and landscape planning – and part of the blame lies at the feet of the professions. Another, larger, part is an unwanted consequence of professional specialization. But perhaps the largest part is the fragmentary arrangements for commissioning work. River control structures, for example, are commissioned by specialized river authorities with no mandade to spend money on anything except riverworks. They might even be called up before the auditors if they ‘wasted’ money on architectural or landscape objectives. But when an abomination has been created, it is simplest and blame the designers and they do not lack culpability. 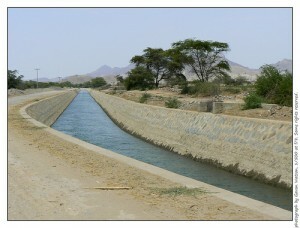 The phogograph of La Leche River in Peru is described by Gavaton as a ‘now-channelized-for-agriculture river’. He is very right, except perhaps in continuing to call it a ‘river’ – unless he would argue that a dead dog is still a dog. This entry was posted in context-sensitive design and tagged landscape and urban planning on 8th November 2008 by Tom Turner. The visualisation shown is by conceptual artist Mark Goerner. It would be interesting to surmise what premises might underlie this vision of a possible ‘future’ city? Although Mark is neither an architect or a landscape architect he has produced a vision of a probable reality that both architects and landscape architects can recognise and respond to. I sent this picture to Tom after realizing I had confused the terms ‘aspect’ and ‘prospect’ in my previous comments [see where is this landscape?]. Tom sent through links to Repton’s discussion of aspect and prospect and Loudon’s response. Perhaps the oversight (in not first checking terms) leading to this discussion is more valuable than I first realised. It is unfortuneately relatively common in architecture to deal with issues of sustainability by modifying climatic effects using techonology (green or otherwise), often without first having planned the use, proximity and orientation of spaces in an iterative manner. [In this discussion also no regard has been given to topographic (and other) concerns ie. founding materials, volumes and degree of incline etc on the arrangement of space.] This way of proceeding, if Repton’s comments are anything to go by, is hardly new. And, if Loudon’s response is correct (and I believe it is), this oversight is a constant source of chargin to architect’s who seek to optimise (the positive) and minimise (the negative) by design. Prospect is an essential part of the visual experience of a building from the interior; as much as it is an essential part of the visual setting (perhaps approach…but not always) of a building. Aspect is essential to the bodily experience of a building from the interior; as much as it contributes to how the building and landscape meld in harmony to form a composite at a myriad of viewpoints and scales. Where might this city most probably be located? Why is it situated and arranged in the way that it is? What is the relationship of built form to landscape? What sort of a place would it be to live in? 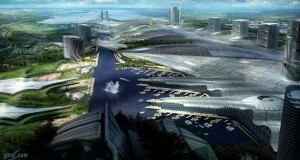 Is it a sustainable city? This entry was posted in context-sensitive design, Landscape Architecture, Sustainable design, Urban Design and tagged architecture, aspect, city design, Landscape Architecture, prospect on 8th November 2008 by Christine. What is the future direction of garden design? Where should we look to find a welcome future direction for the art of garden design? Chelsea? Kyoto? California? Australia? Saudi Arabia? Wales? A candidate list is, please don’t laugh, in Wales. It was made by the Centre for Alternative Technology CAT. CAT also have chickens at loose in the garden. 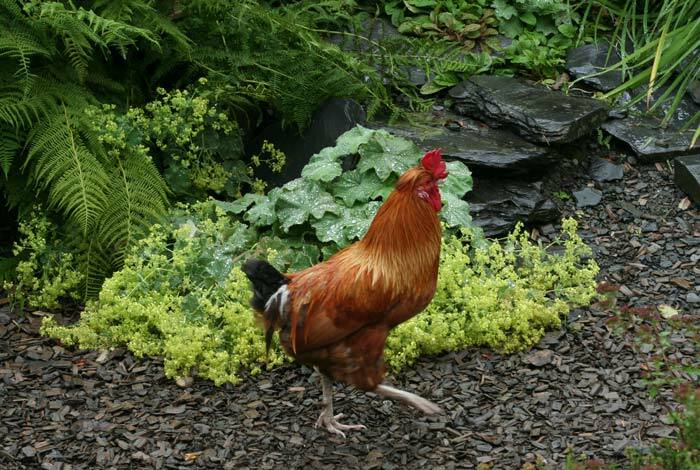 They are ornamental and they lay better eggs than anything ever sold in a supermarket. I would like to see CAT take these principles to the Chelsea Flower Show – and employ a really talented designer to explore and publicize them. 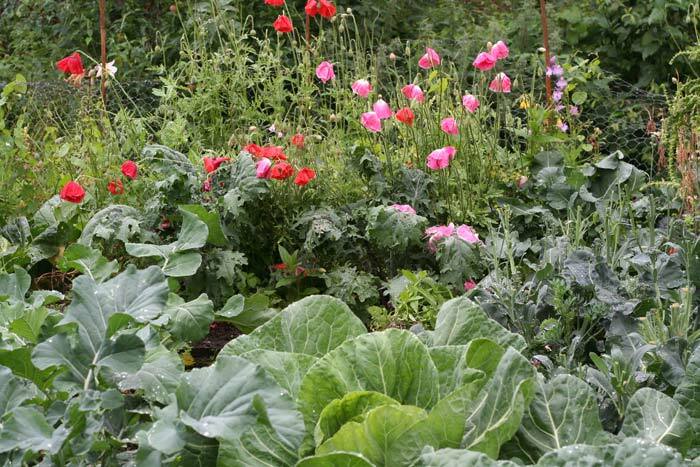 This entry was posted in context-sensitive design, Garden Design, Sustainable design and tagged future garden design, garden design as a fine art on 4th November 2008 by Tom Turner. The UK Landscape Institute announced today that it has decided to sack its archivist (and four others), close the LI library archive and seek ‘a new home for the collections’. What a terrible shame. The old idea was that when you have only one loaf of bread left in the world you should sell half of it and buy a book. Or, if one is not quite so hard hit by the credit crunch, one should follow the Chinese proverb: ‘When you have only two pennies left in the world, buy a loaf of bread with one, and a lily with the other’. One really wonders why a professional institute should employ 26 staff and yet can’t maintain a library or publish any useful policies to support its members. Whose interests are being served? This entry was posted in Landscape Architecture and tagged Closure of LI Library, landscape institute on 4th November 2008 by Tom Turner.